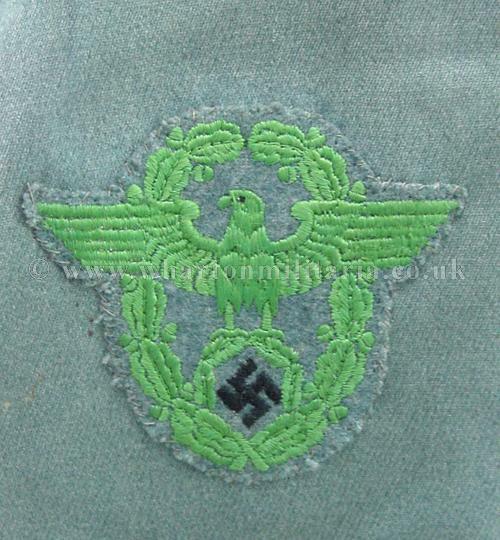 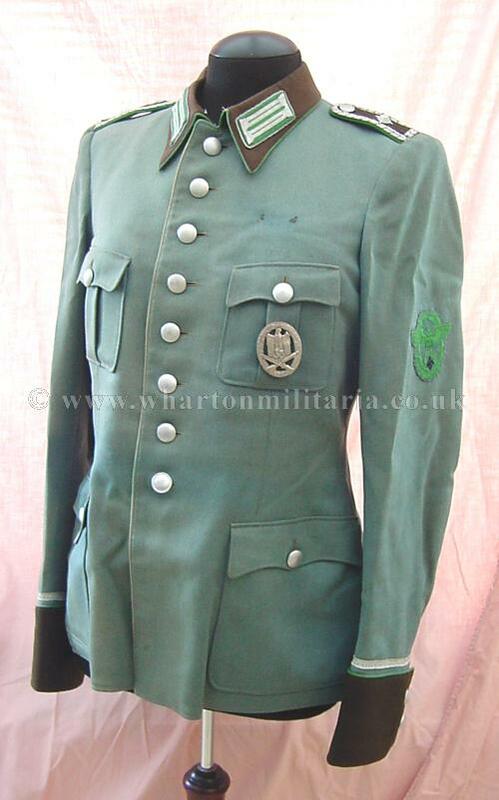 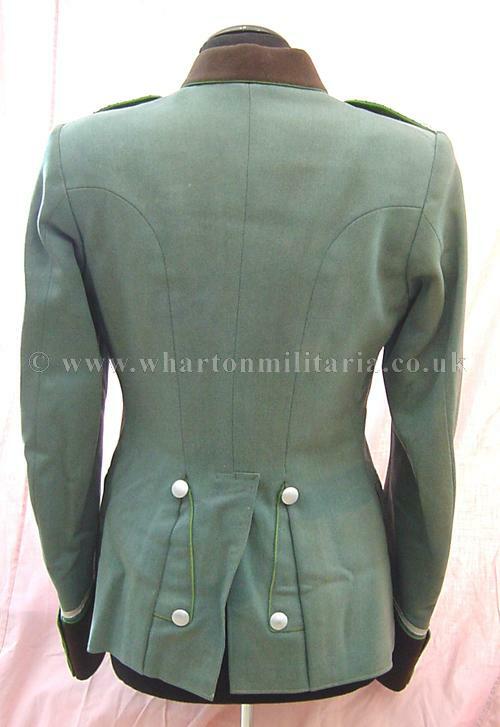 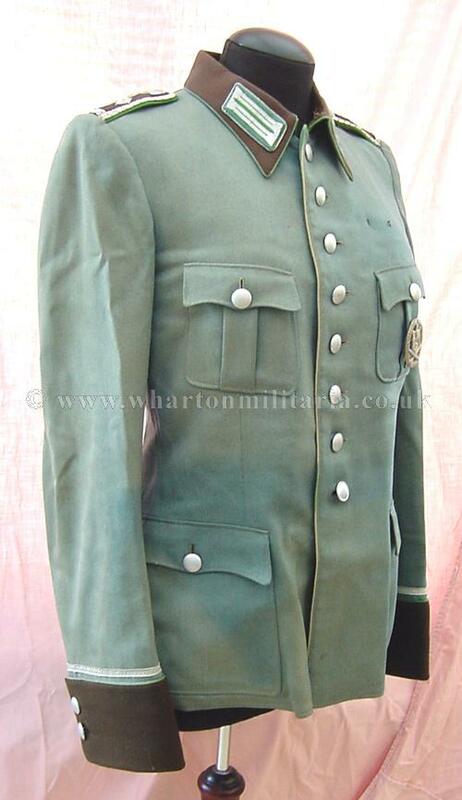 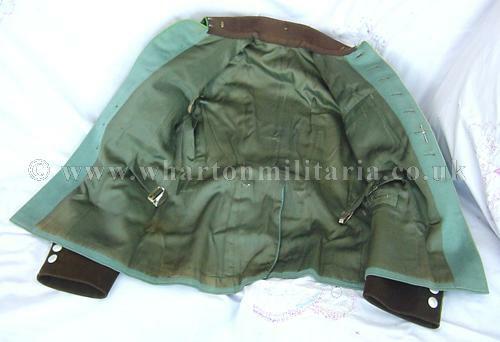 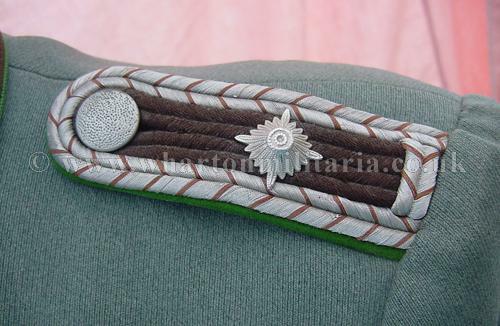 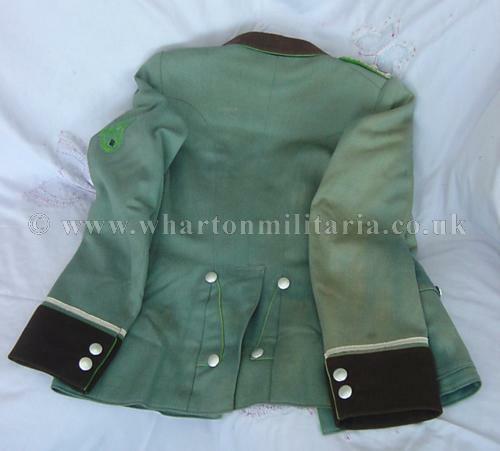 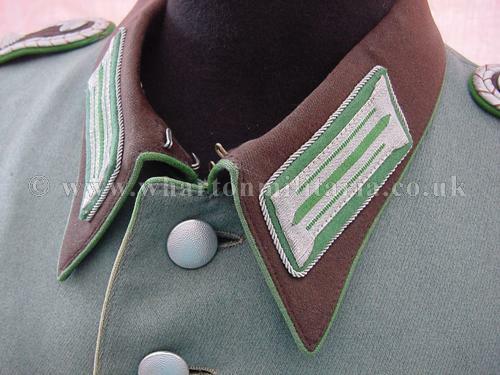 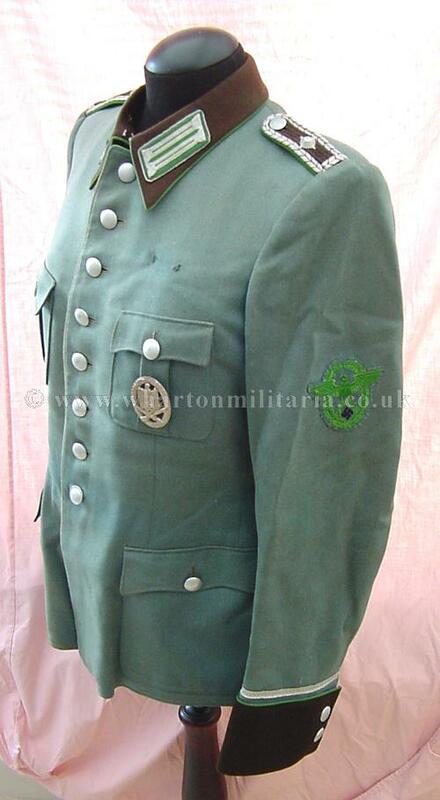 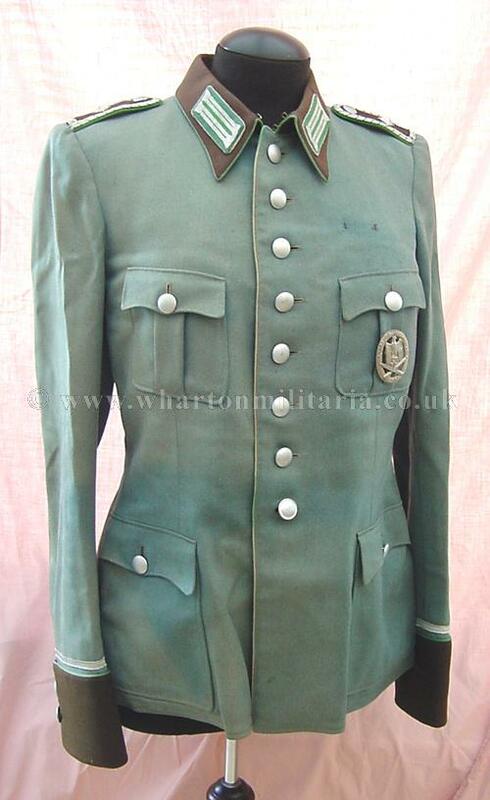 A fine WW2 German Police Tunic, in excellent condition overall, has some sun fading to frontage where a belt and holster was worn, size detail approx 40cm across the shoulders, a neck to hem drop of 70 cms with arm length from shoulder to cuff 67 cms. 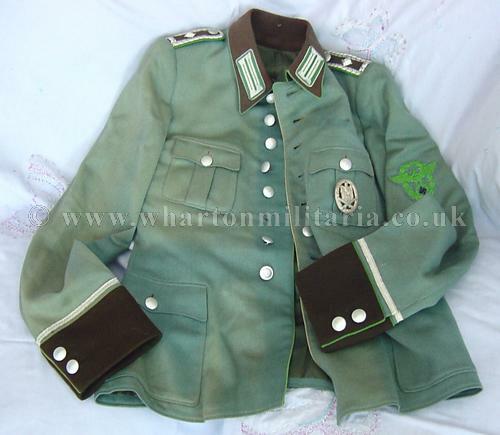 A very nice tunic correct in every way and straight from the family. 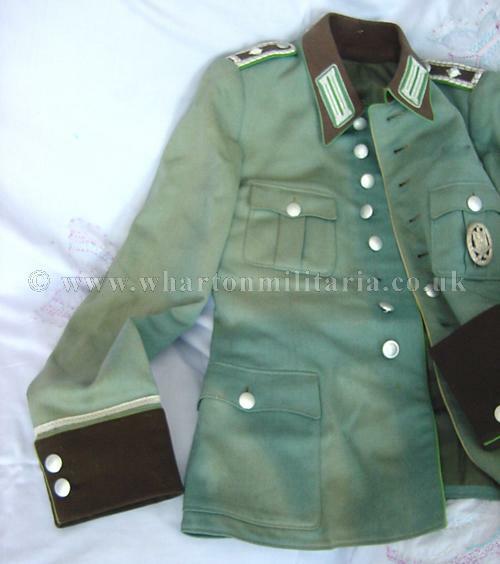 A good opportunity to aquire a field worn Police tunic. 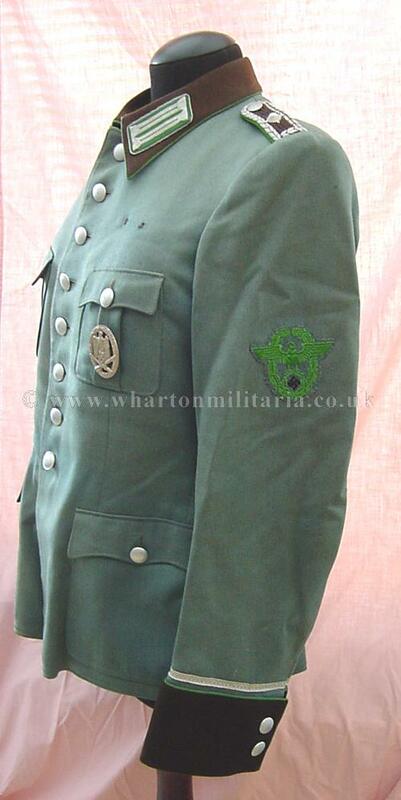 General Assault badge not included.